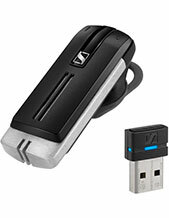 Plantronics EncorePro HW510 OTH Voice Tube Monaural Headset is an incredibly comfortable audio device that showcases the company’s popular noise-cancelling technology integrated in the microphone, which provides clearer conversations. This headset has been structured to function long-term and serve as an investment to users. 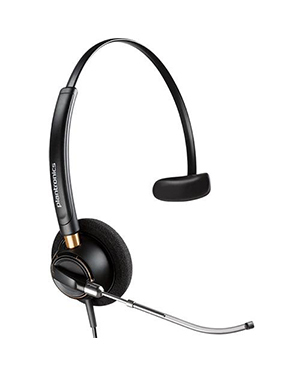 Plantronics EncorePro HW510 OTH Voice Tube Monaural Headset can help enterprises improve their productivity at work by improving users’ call handling and management skills by using a better headset for the calls. This is why it is perfect for customer service centres and offices. More than that, the device is integrated with SoundGuard technology and wideband audio that help in reducing noises from conversations and protect users’ ears from dangerous and loud noises. Are you interested in this product? Give our representatives a call at Australia wide 1300 131 133 for more details! 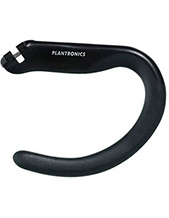 Plantronics is an American consumer electronics enterprise that develops, designs, and manufactures wide selection of products and solutions that support communication functions and features. The company has been operating for decades and since its establishment has been driven towards one goal and that goal alone, which is to support customers in their audio and communication needs. Plantronics has approximately 5,000 employees working under the company’s management. Its employees are guaranteed to be highly capable in their work, and driven to be able to contribute towards the company’s goal. Well-known to take risks and plunge towards innovation, the company has been developing incredible technologies and devices for decades, incorporating what the company has learned since the time it was founded. Headsetsonline Pty Ltd is an Australian online store that supplies and wholesales audio and sound products and solutions to corporate and government sectors as part of a popular enterprise since the year 1998. It has become highly knowledgeable on the ideal products and solutions for specific customers and their needs precisely due to decades of experience and market studying. Headsetsonline ensures to deliver the best products and solutions by choosing Australian distributors compared to grey imports. Products and solutions from Australian distributors are guaranteed to pass Australian standards certification and have warranties that can be covered Australia-wide, which means that customers can benefit from the warranties, wherever they may be in the country. Headsetsonline also helps customers be more cost-effective even in their purchases through the help of a secured online store and a promise of flat shipping rates to all deliveries Australia-wide. This means that customers won’t have to worry about hidden charges and surprise fees on deliveries.